When you start talking bookkeeping and taxes with many business owners you often trigger a worried look. Bookkeeping can cause a lot of anxiety and worry for the small business owner, but for us as outsourced bookkeepers it creates an opportunity. When we take over books from previous bookkeepers sometimes they are clean with a good system in place, but most of the time they are a mess and full of mistakes. Creating the proper bookkeeping system and giving a business owner a set of books that adds value will reduce their anxiety and worry when it comes to their business finances. Quite often the key is accurately updating the books on a regular basis. Another pain that bookkeeping can create is a lack of access to updated information. New clients often complain that the books are behind and inaccurate. Business owners complain to me that they don't get reports from their bookkeeper often enough and when they do they don't contain accurate or relevant information. In order to run a business you need updated and accurate financial information that can aid you in making business decisions. A good bookkeeping system can and should give a business owner access to regularly updated financial information that is accurate. The major trends in the accounting industry right now are a movement to cloud based solutions and the need for more regularly updated information. You should set expectations with your bookkeeper on how often you would like to see the books updated. Also, be sure that you have access to your bookkeeping system and financial reports anytime you want them and from where ever you are. Business owners hate taxes, but too many of them take a reactive approach to taxes rather than a proactive approach. You should be reviewing your tax situation with your CPA at least semi-annually if not quarterly. Many business owners wait until after the fiscal year is over before having a tax review. The problem with that approach is that you can't do much about your tax situation once the tax year is over. Having a tax review and estimate before year-end is probably one of the most critical things you can do regarding taxes. A tax review will do two very valuable things. First, you will understand your potential tax liability and you can make any tax advantageous moves or purchases before year-end. Second, you will have a tax liability estimate, which will give you several months' notice so that you can plan to pay any taxes that are due. The above tax planning is only possible if you are maintaining an accurate bookkeeping system that is updated regularly. The financial aspects of running a small business can be painful for most, but they don't have to be. 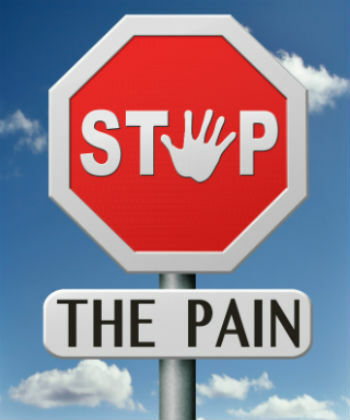 Proper bookkeeping can cure many of the pains you may be feeling. What pains have you felt from your small business bookkeeping and finances?